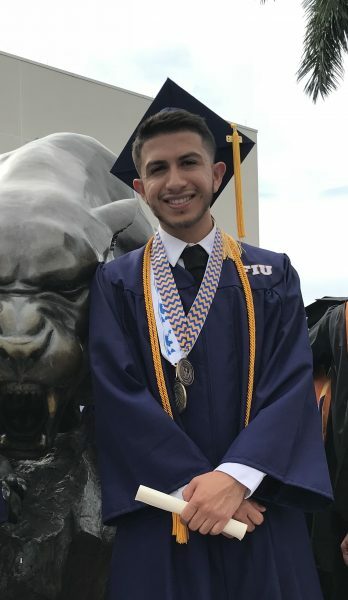 A recent graduate at the Robert Stempel College of Public Health and Social Work, Emmanuel Vega Arreola had been working with refugees and asylum seekers as part of his internship for his bachelor’s in social work when he decided he wanted to further expand his horizons. He also wanted to find a way to combine his two passions: service and traveling. Vega Arreola decided to apply to The United States Peace Corps. The Peace Corps, as stated on its website, is a “service opportunity for motivated changemakers to immerse themselves in a community abroad, working side by side with local leaders to tackle the most pressing challenges of our generation.” Launched in 1950s, the program’s goals are to help communities in interested countries gain new skills and training while improving cross cultural relationships and understanding. The Peace Corps received more than 17,000 applications last year for fewer than 4,000 positions. 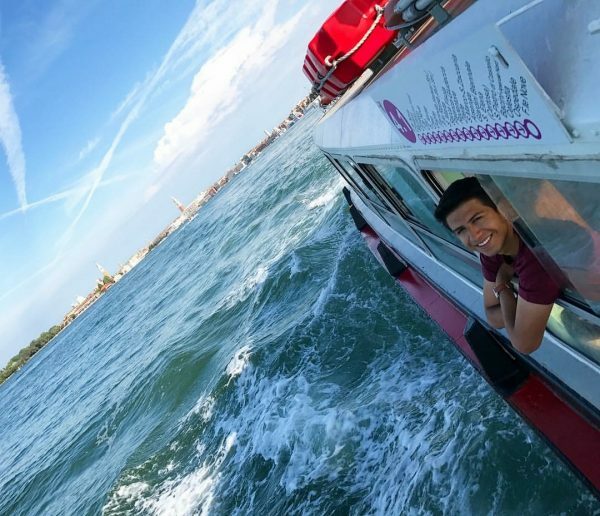 In August, upon hearing that he was accepted to the program, Vega Arreola learned that he would be stationed in a rural village in Thailand, where he will be working as a Youth Development Volunteer. There, he will be able to apply many of the skills he learned in the classroom toward developing after school programs and enrichment programs for the local youth. The course that he is most grateful for having taken is Social Work Practices with Communities and Organizations, as it taught him how to go into a community and use macro social work skills to integrate and build professional relationships, gain trust and empower the people he works with. In 2014, FIU launched the university’s Peace Corps Prep Program, one of only 25 in the country. FIU is consistently ranked a Top 10 Peace Corp volunteer-producing Hispanic-Serving Institutions. As of Sept. 30, 2017, the university has 23 alumni who are volunteers in 21 different posts. A commitment to The Peace Corps is significant with three months of training in the host country followed by two full years of service at the host site. Often living in simple, rural conditions, it can be a difficult adjustment for many. Vega Arreola embarked on his journey to Thailand last month. Once settled, he intends to focus on community research in order to understand the community and their needs. He wants to develop programs that will have an exponential life to them so that benefits go beyond his time there.